The Bridge Program is designed to help skaters slowly transition from Learn to Skate USA group classes into full membership in the Mt. Pleasant Figure Skating Club. The program offers semi-private and private lessons, allowing the skater to utilize the whole ice surface while receiving more individualized instruction to improve their skills, learn to perform programs to music, and/or prepare for Basic Skills competitions. The cost of the program covers a 60-minute session of ice from 5:00 pm – 6:00 pm on either Monday and/or Thursday nights. During your skater’s ice time, they may receive a 20 minute lesson with a coach and will have an additional 40 minutes of individual practice time. You will receive a separate bill from the instructor at a discounted rate of $6 per lesson. 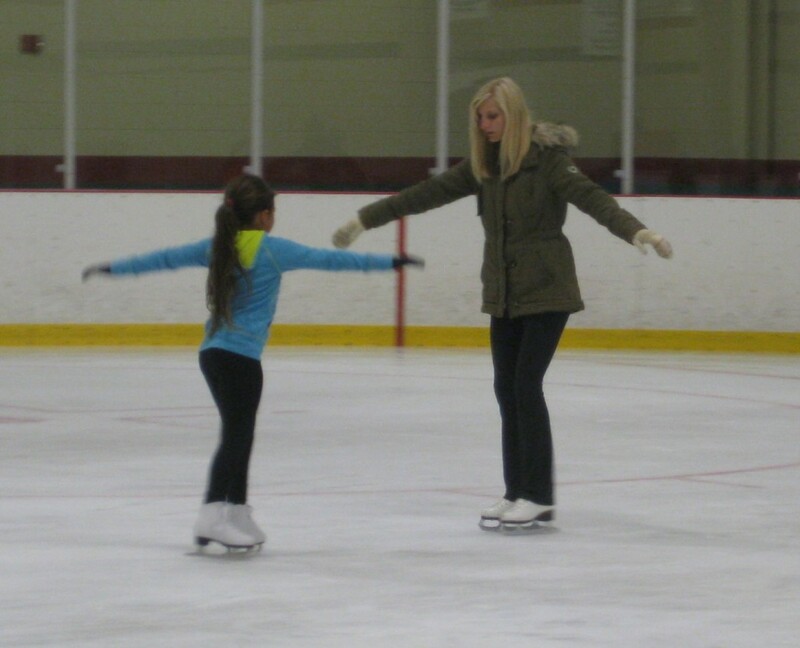 The more time skaters have on the ice, the faster they progress, so skaters are encouraged to enroll in both Learn to Skate USA lessons and the Bridge Program. 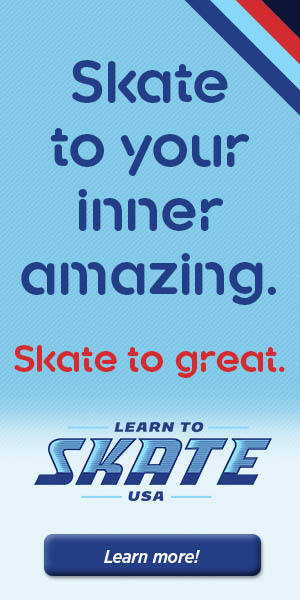 Bridge skaters may sign up for LTS lessons for 1/2 price on either Monday or Thursday nights. Skaters may continue to take advantage of the Bridge Program until they pass Pre-Freeskate and complete the current skating year, which ends on June 30th. 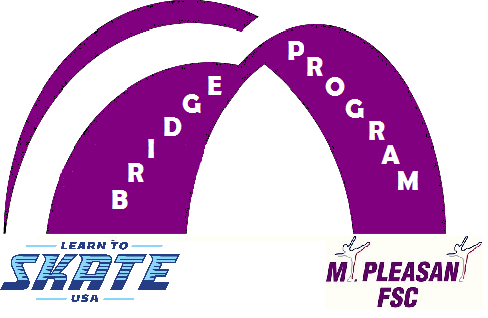 Then the skater must become a member of the MPFSC and may no longer take part in the Bridge Program. (Adult Skaters may partake in the Bridge Program until they have passed Adult 6 and have completed the current skating year). *Private lesson time during the hour may vary. Please speak to your skater’s coach for details. MPFSC is not responsible for arranging specific lesson times within that hour. Registration for this session will end after the 3rd week of class due to ice show preparation. Make-up classes may occur, however only within the current class session and only when arranged with the Learn to Skate Director and your skater’s coach prior to any make-up classes. Annual Registration Fee: $18, required. Covers the cost of a US Figure Skating Learn to Skate USA membership. Membership year runs July 1-June 30. Coaching Fees: $6.00 per lesson. You will receive a separate bill from your skater’s coach for this portion. *Winter 2019 Session may also include a small fee to help with the purchase of costumes for the Ice Show. 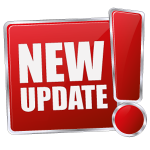 Class Fees may be paid by cash, check (payable to MPFSC), or credit/debit cards. Please note credit/debit transactions are subject to a $4 convenience fee. Bridge Discount: Skaters participating in the MPFSC Bridge Program receive 1/2 off their Learn to Skate USA class fees. Skating Families taking part in the Bridge program are required to complete 8 hours of volunteer time by May 20th of each year. Bridge Families who do not meet this requirement will be billed $10 per hour not completed. More details and a listing of volunteer opportunities can be found here. Be sure to specify the night(s) of the week you would prefer your child to have lessons. Once you have confirmation of your coaching and assigned lesson night, you will be asked to fill out a bridge and volunteer contract and submit payment. Questions? Email us at MtPleasantFSC@gmail.com or call (989) 817-2485 and leave a message.